The Raspberry Pi is a series of low power, single board computers created by the Raspberry Pi Foundation. Originally created to teach kids the basics of computer science and programming in developing nations, the Raspberry Pi was made with an emphasis on low power requirements, low price and ease of use. However, due to its flexible nature, and low price, starting at just $35 back in 2012, the Raspberry Pi found a home in the hands of tech enthusiasts, modders, and scientists. It has since expanded far beyond its original use case. 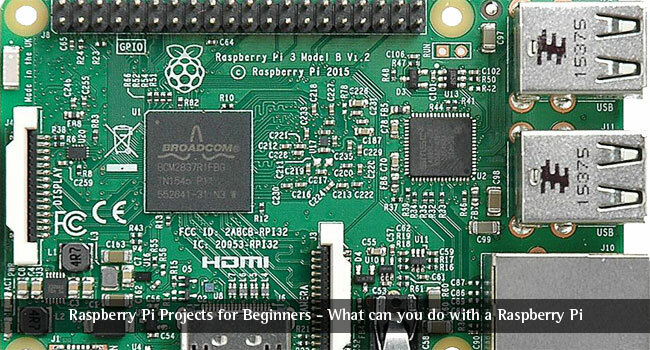 Let us take a look at Raspberry Pi projects for beginners, what it has to offer, and what you can do with it yourself. Over the years, the Raspberry Pi Foundation has launched various models of the Raspberry Pi computer. 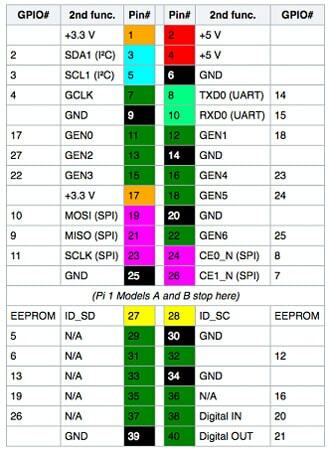 Apart from the normal generations (i.e Raspberry Pi, Raspberry Pi 2 etc), there are also some feature variations, like Model A, B, A+ and B+. All of the Pi variants have varying numbers of USB ports (most commonly 4 USB 2.0 ports in B+ variant), video out via HDMI or AV/RCA and a set of General Purpose I/O Pins (GPIO). The Raspberry Pi single board computer can boot various OSes, primarily based on Linux. The newer Raspberry Pi 2 and Raspberry Pi 3 can also boot a specialized Windows 10 IoT Core OS, based on the Windows NT Kernel. We can clearly see that the Raspberry Pi is an extremely diverse computing platform, but you, as the normal user, what can you do with one of these bad boys? Let’s take a look at some interesting projects you can achieve on the Raspberry Pi platform. Starting off with the simplest of the bunch. The Raspberry Pi, in essence, is actually a tiny computer. And with that, comes all the functionality one expects in a computer. For an average home user (usage consisting of internet browsing, music playback, movies, file downloading, document editing etc. ), the Raspberry Pi has enough horsepower to handle your workload. Once the Pi is setup, you will be greeted with a simple PIXEL UI, presented by the Raspbian OS. You can immediately start using it, as most of the essential software is already preinstalled. 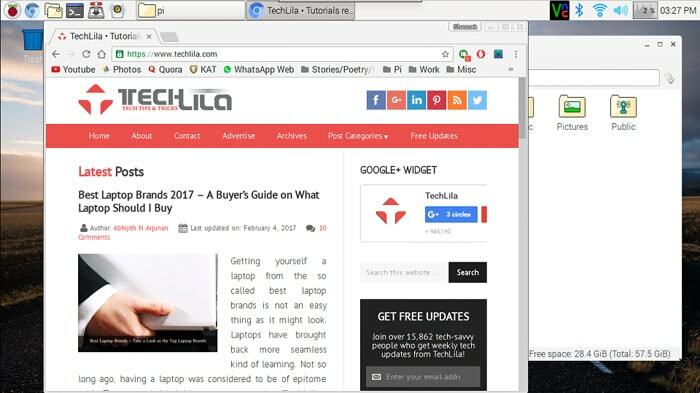 We recommend some extra software you can install for gaining the most out of your desktop computer experience. There are other open source operating systems available for the Pi, the most popular being Ubuntu MATE. While other OSes have their own advantages and disadvantages, we prefer Raspbian, as it is not only the officially supported OS by the Raspberry Pi Foundation, but it is also the fastest and most optimized OS for the Raspberry Pi. What if you do not want to use the Pi for regular usage? What if you want to play music, watch movies, TV Shows. In short, what if you intend to make a media center out of it. There are primarily two methods, one of them is to set up a Pi as a regular PC, then install corresponding software. The other method, the one we will discuss today, is by far the better method. It is to use a specialized OS made for this very purpose. 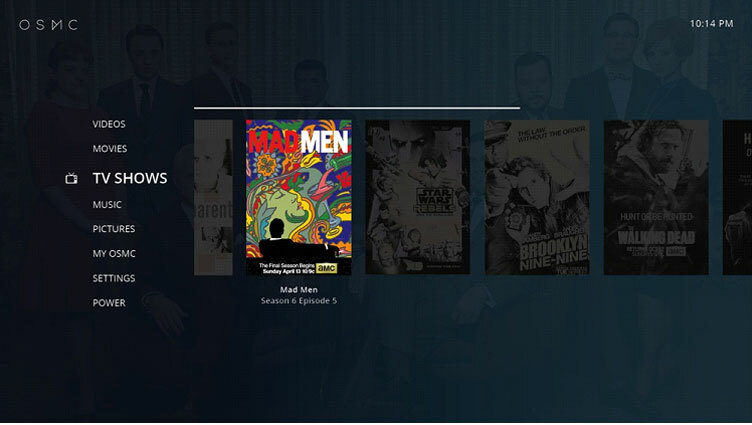 There are multiple OSes available for this, including RasPlex, Open Source Media Center (OSMC) and Kodi (XBMC). 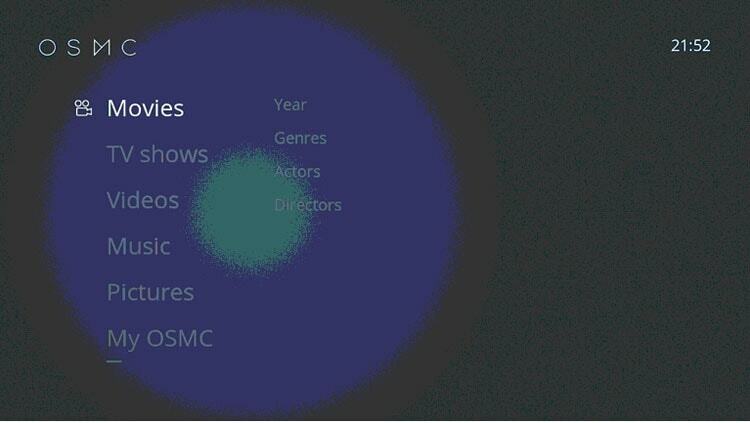 In this guide, we used the popular OSMC distribution. It is based on Kodi, with native support for OMXPlayer (hardware accelerated playback on Raspberry Pi). It also comes with a slick user interface, making it easy to use and stunning to look at. 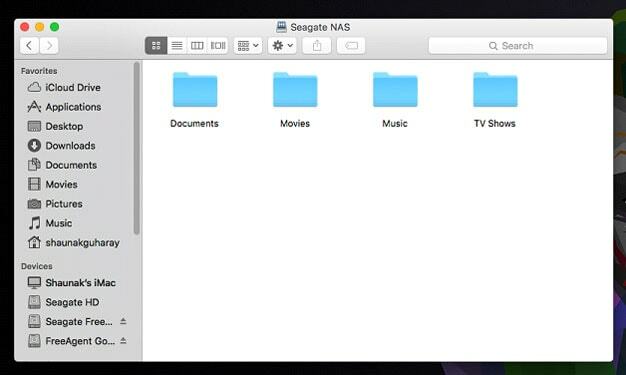 Network Attached Storage, or NAS for short is a very important concept nowadays. The idea is simple, a storage device accessible throughout your network, or even shared on the internet. It makes great sense to keep your documents, media, photos and other files in a central storage, so to prevent duplication of data on your multiple devices (phone, PC, tablet etc), while still having access whenever needed. Setting up a NAS on a Pi is not particularly a straightforward process, as it involves manual configuration. Raspberry Pi (preferably Pi 2 or Pi 3), setup with an OS. We are assuming you already have a Raspberry Pi setup with Raspbian, for this guide. If you don’t have one already, check out Project #1 for the guide. We are going to set up a Samba Server on our Raspberry Pi. That’s how you set up a NAS on your Pi. Now, go onto your laptop / PC / Mobile, from where you intend on accessing the storage from. 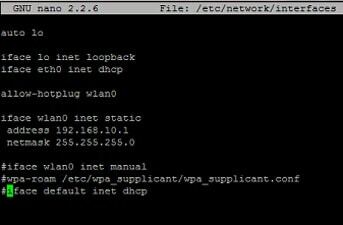 For the server IP, enter smb://<IP Address of your Pi>. The dialog will prompt for the username and password. Enter them as you configured. Then you will be able to access your files anywhere on the network. We’re pretty sure you have a WiFi Router in your house. But maybe you want another one. Maybe for guests. Maybe for your personal DNS server. Fear not, you no longer have to buy another WiFi Router for the same. Our trusty Raspberry Pi comes to the rescue. Raspberry Pi, setup with an OS. That’s it, now you have your very own Wireless Router. Reboot your Raspberry Pi, and check out the marvel you just created. Want to revisit all your childhood games, those countless hours spent mashing buttons, looking at our TVs. RetroPie brings back all the nostalgia into the modern world. Setting up RetroPie is a very easy process, as simple as setting up Raspbian. While we are at it, why not use the Raspberry Pi for its original purpose. The Raspberry Pi was originally designed to teach computer science and basic programming to children in developing nations. Infact, the OS Raspbian comes with a very good library of IDEs and tools to get you started out of the box. At this day and age, the buzzword is Internet of Things. As a concept, it is a very simple thing, the appliances in your home, all connected to the internet, being able to communicate with each other, run as needed and be scheduled and controlled remotely. Imagine your microwave heating your food as you enter your room, the lights in your hall lighting up automatically, and music playing to your senses. That is the kind of thing home automation prevails, and Internet of things allows for. So, how does it actually work? You have an array of sensors/cameras/IR blasters set up in your house, or even have them trigger manually as per your need. Using a Raspberry Pi intermediate, you can control your lights, fans, appliances just via a signal through the interweb, say an app on your phone, or according to time schedule, or through sensor data. The magic of the Raspberry Pi does not end there. There are various other usages, including Robotics, turning your TV into a Smart TV, Smart Mirrors, Home Security, bunching up Pi’s into a supercomputing platform and so much more. Infact, if you can dream it, you can probably make it on the Raspberry Pi. We had a comprehensive look at the Raspberry Pi single board computer today. What started out as an innocuous looking microcomputer, is all over the world today, having its roots deep in the enthusiast community. According to the Raspberry Pi Foundation, over 10 million Raspberry Pi’s have been sold by 2016, making it one of the highest selling computers worldwide. With such flexibility and varied usage, coupled with a simple to use board and cheap price, starting at just $5 for the Raspberry Pi Zero, it is easy to see why the Pi revolution took the world by storm. I’ve been thinking a lot about the Rasberry PI and how to use/implement it in a lot of things. I travel a lot so I’ve been trying to come up with a way to use it for certain things that need low power or extra oomf. When I drove a rickshaw across India I thought about trying to hook up a stereo system powered by it but didn’t have the time. Hi, how do you earn from your website? I see no Google adds on your blog then how you earn from it? Hi Shashank, this is not the right article to discuss these things. Please contact admin@techlila.com for all your queries. Hi, I hope you are doing well. This is really an interesting article for all of us. This is a well-explained article with accurate points as compared with other sites. Thanks for this article and keep updating us. Amazing post good information for us. Thanks.